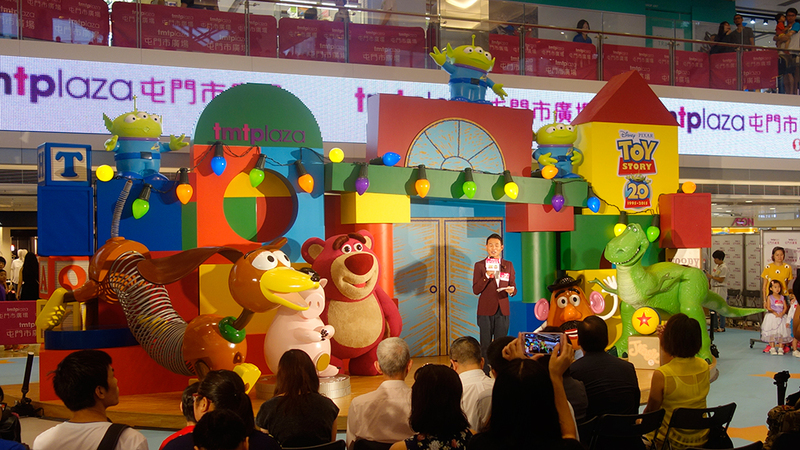 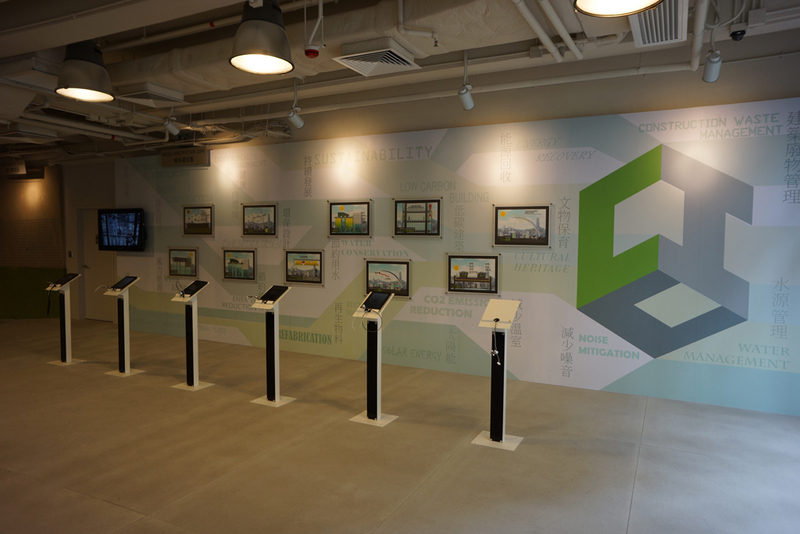 Leovation had created a successful exhibition in Asia Retail Expo 2012. 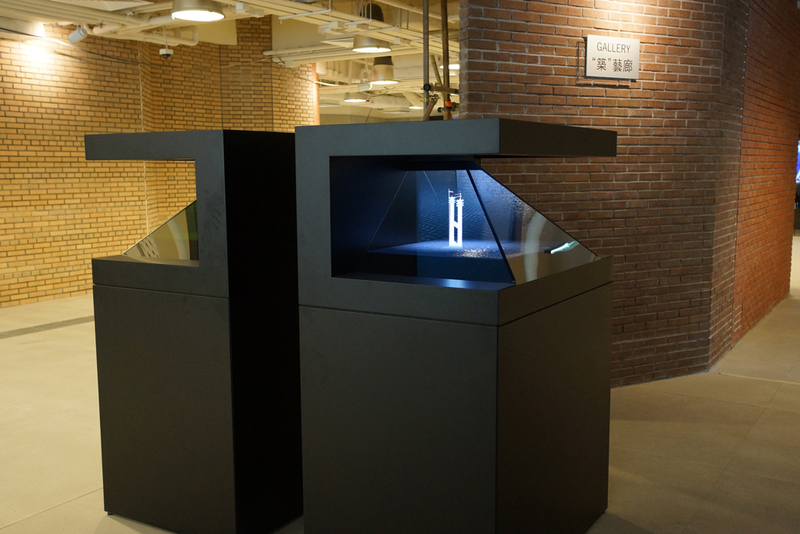 We presented a giant virtual closet with radarTOUCH, Augmented Reality in mobile device, fascinating hologram displaying device in multiple models and Multitouch-able transparent LCD showcase making the exhibition a huge hit. 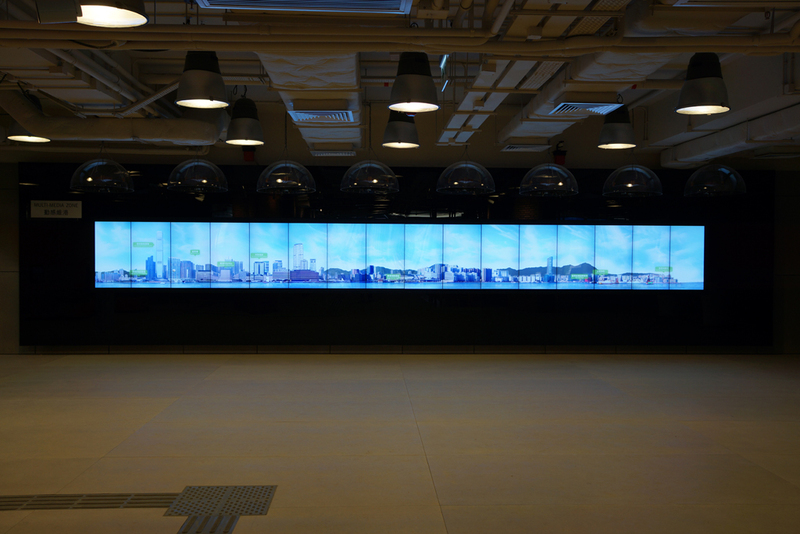 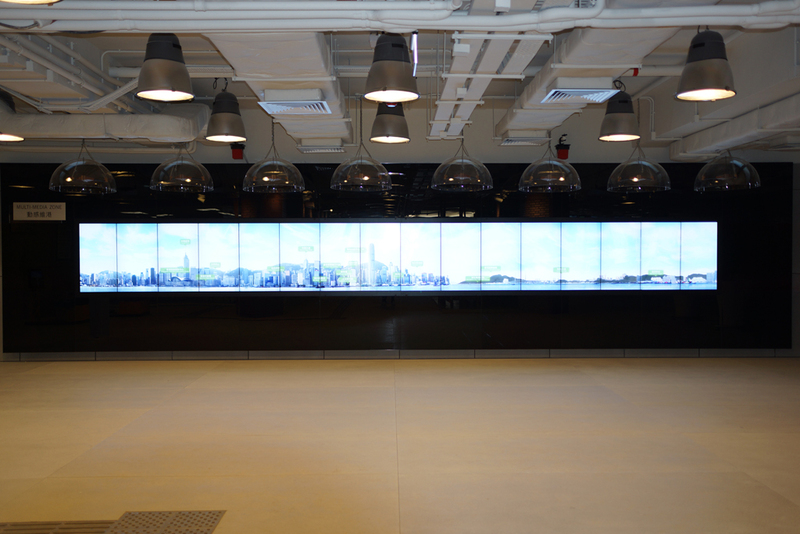 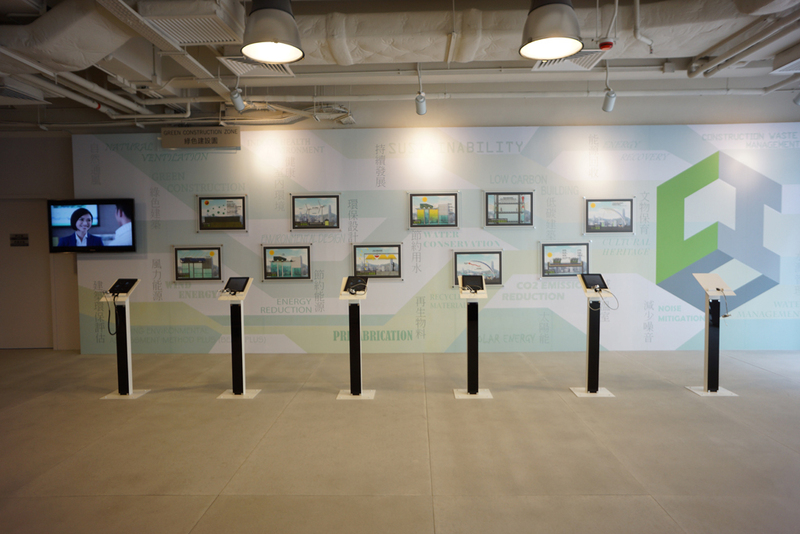 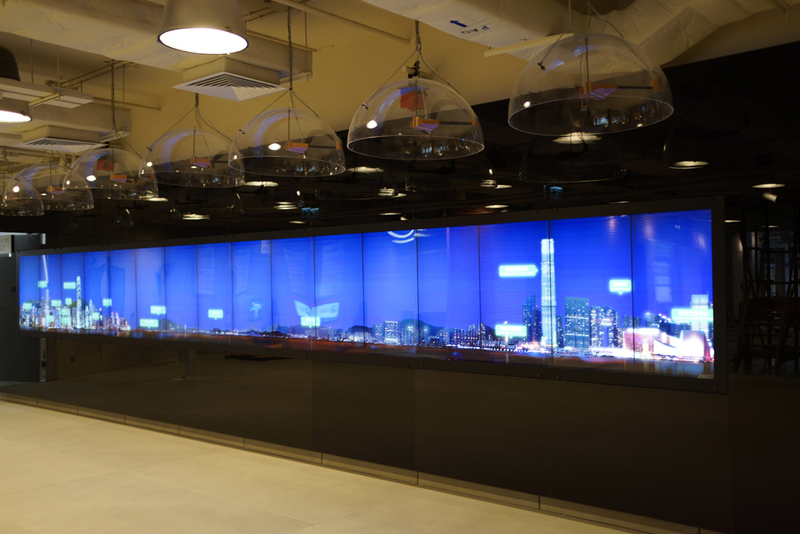 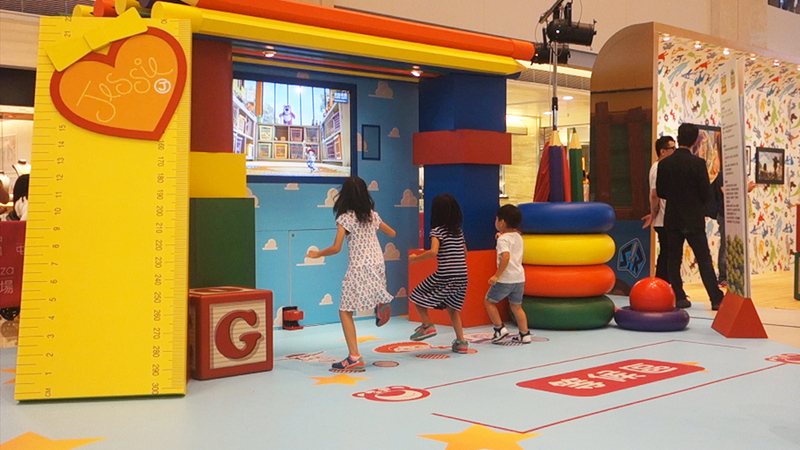 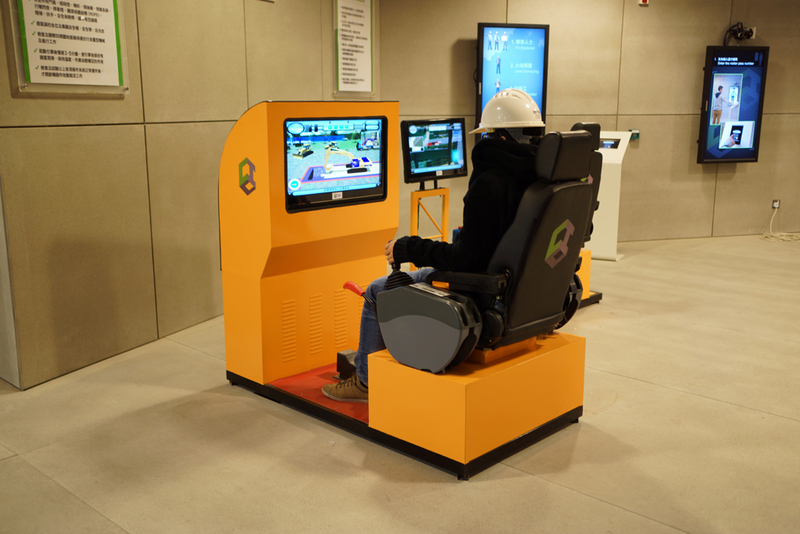 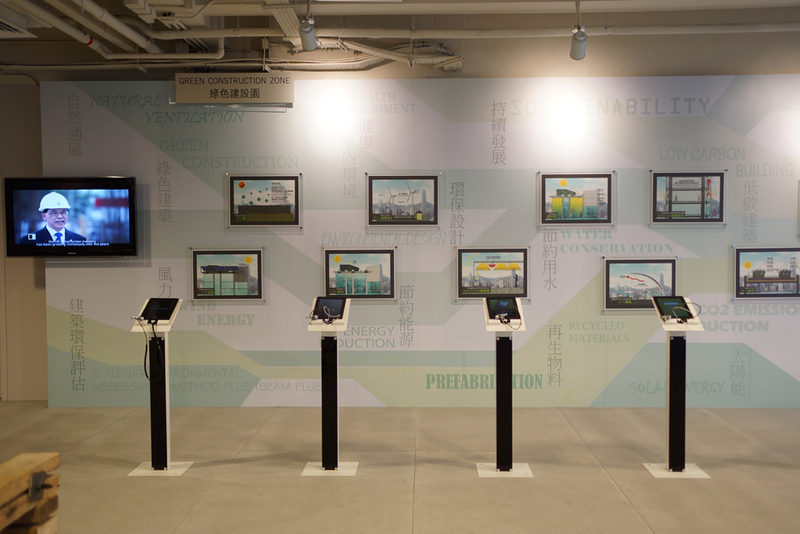 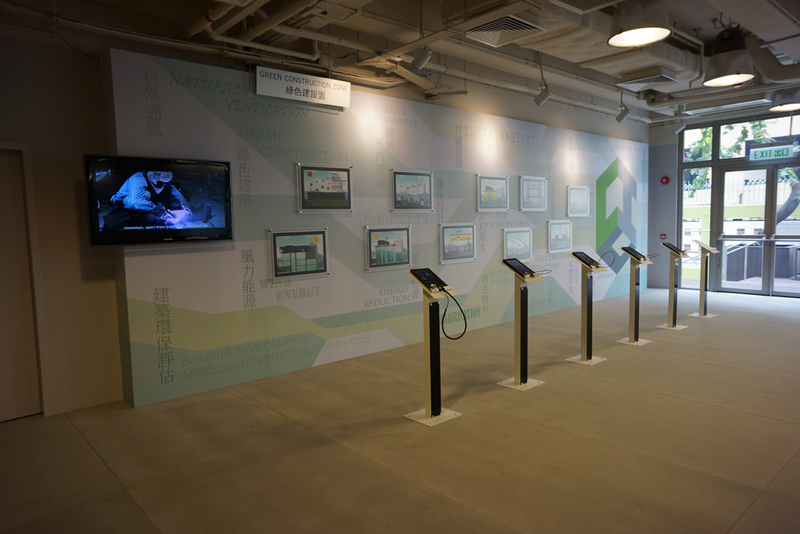 PCCW, a leading telecommunication company in Hong Kong, is now using 55″ Multitaction in store to demonstrate their various services. 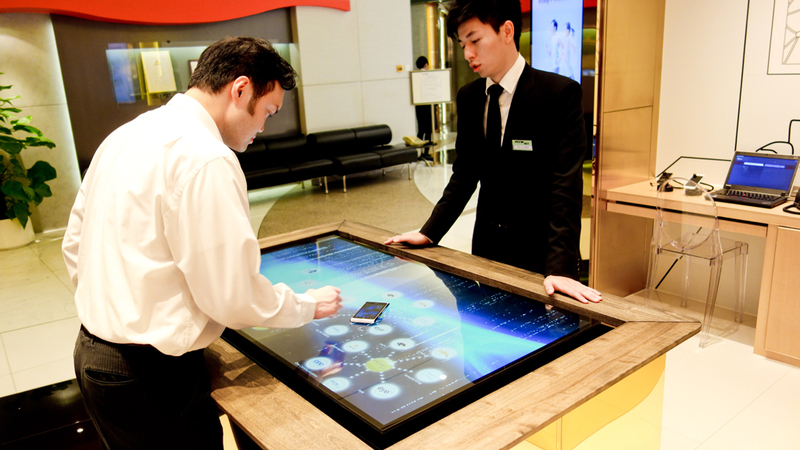 With the help of the multitouch table, customers can compare different mobile devices by simply placing phones side by side on the multitouch table. 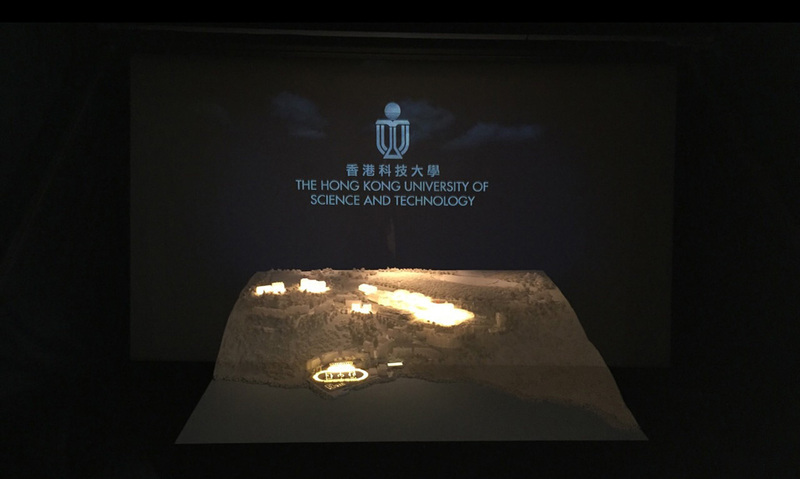 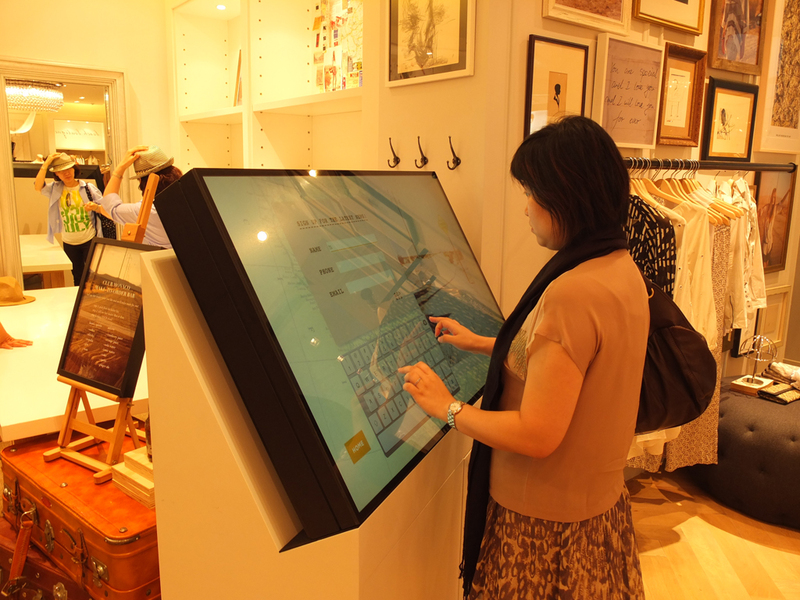 55″ multitouch table attracted much attention in the Club Monaco store, IFC mall. 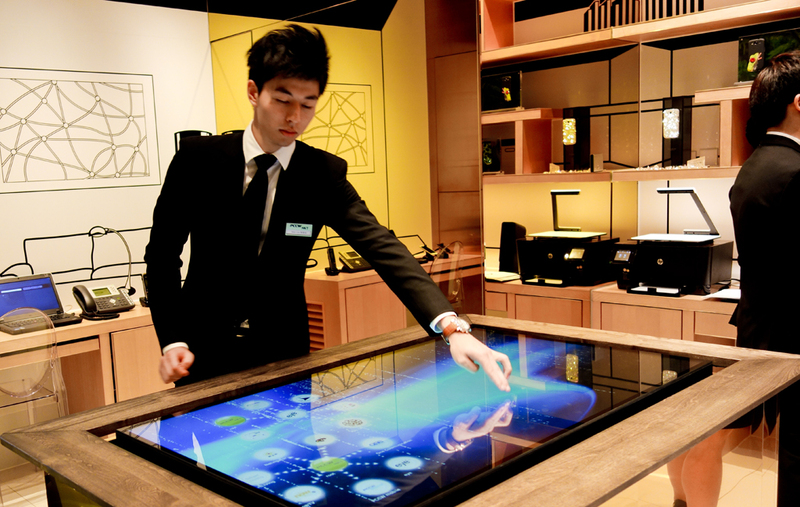 It helped increase customer flow and generate marketing data. 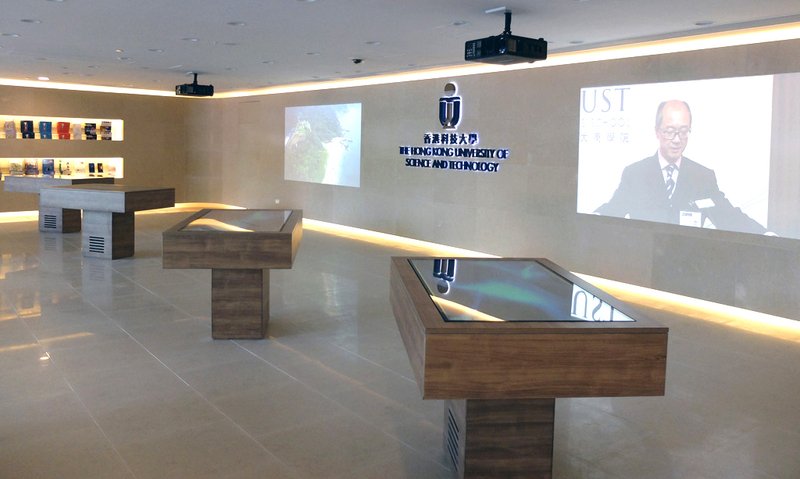 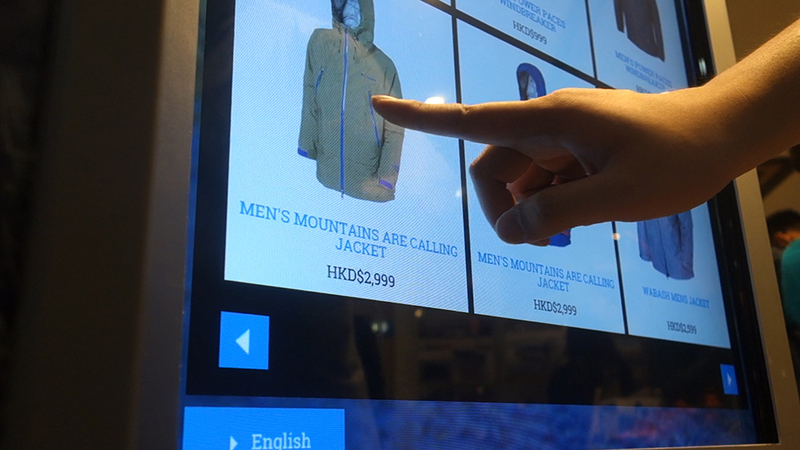 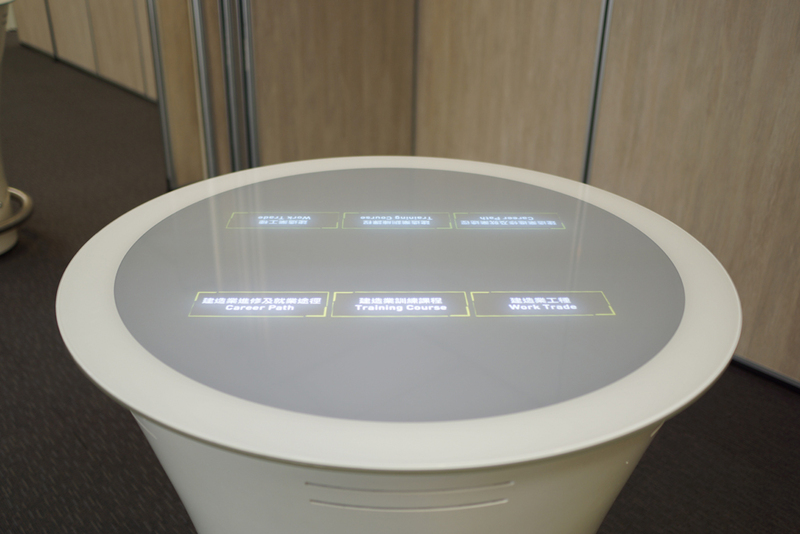 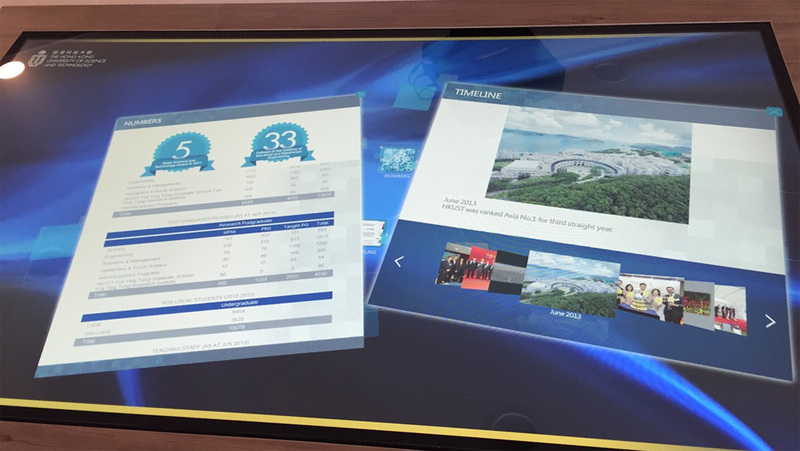 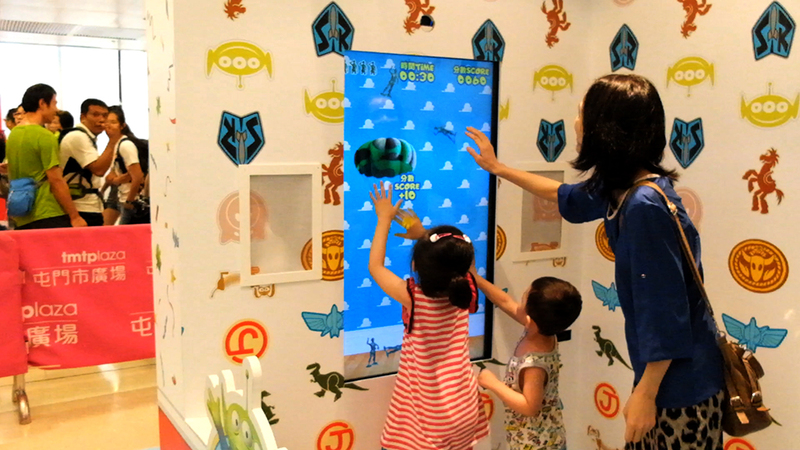 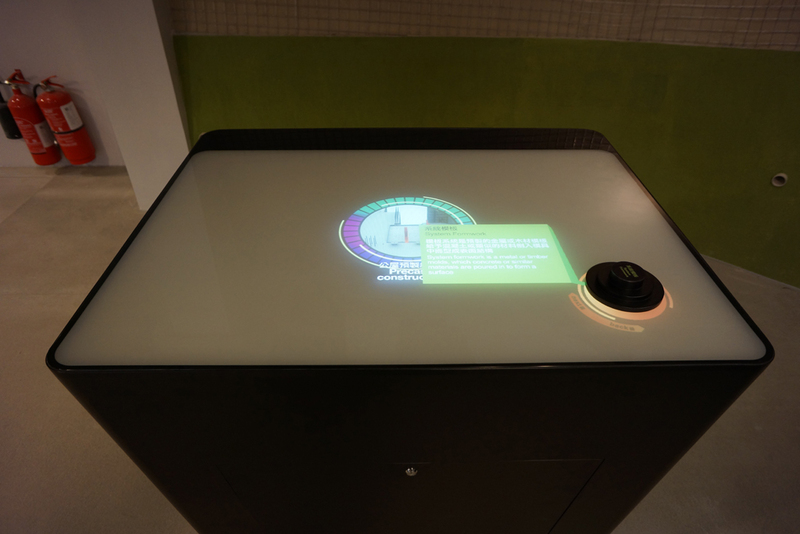 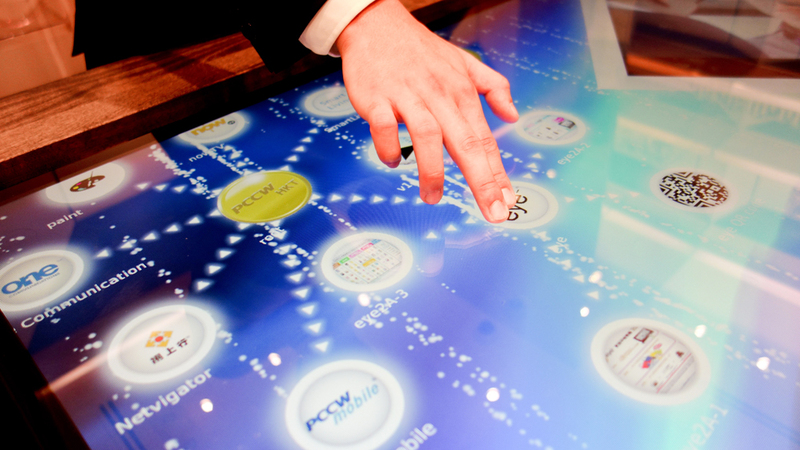 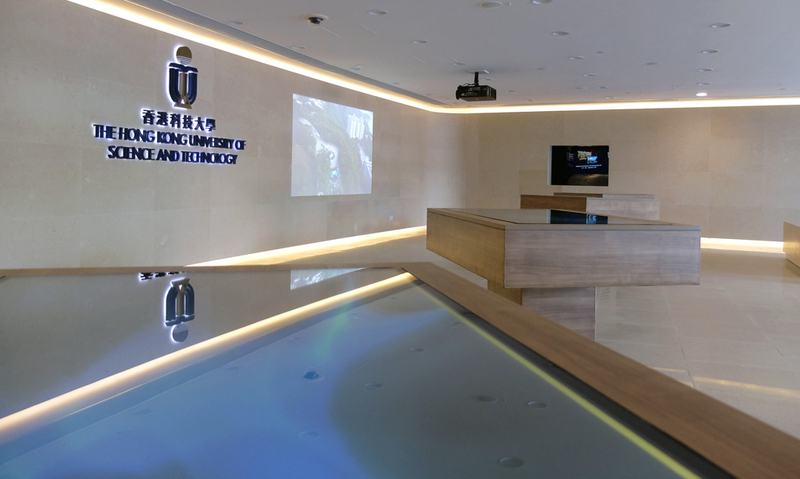 Customers were able to browse for information and further explore the retailer’s brand on 55″” multitouch table. 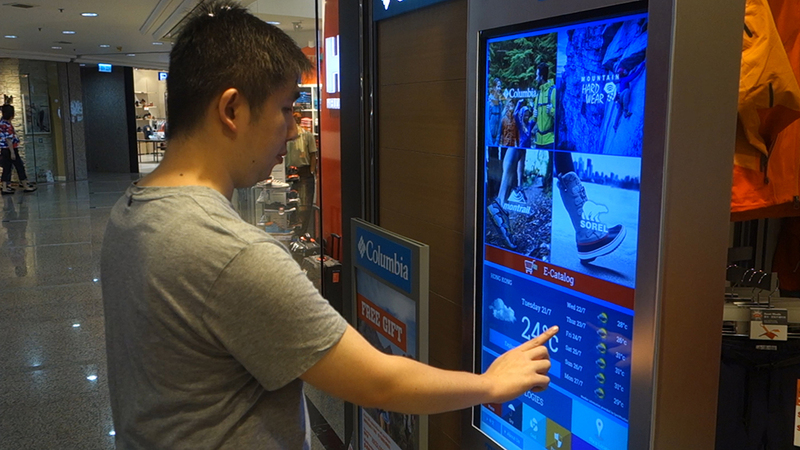 Meanwhile the store can store customer data for marketing purposes. 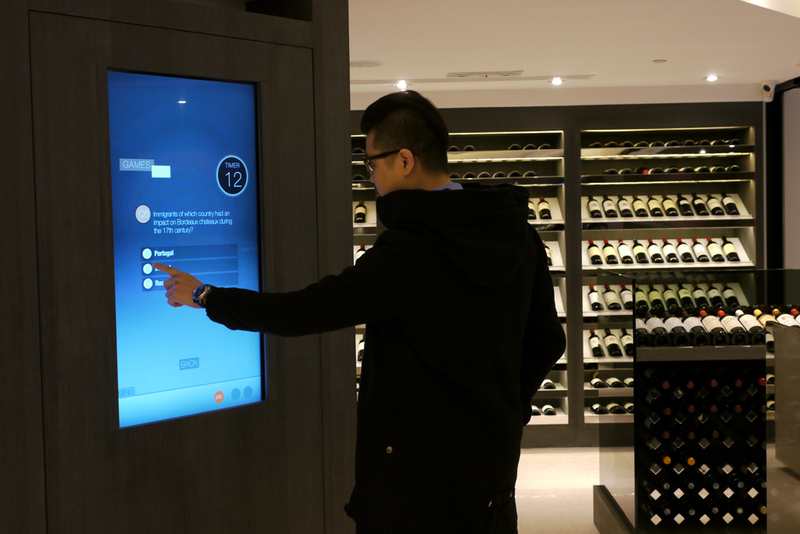 etc Altaya, the fine wine retail store, is using multitouch screen to demonstrate a new and modern way for wine shopping. 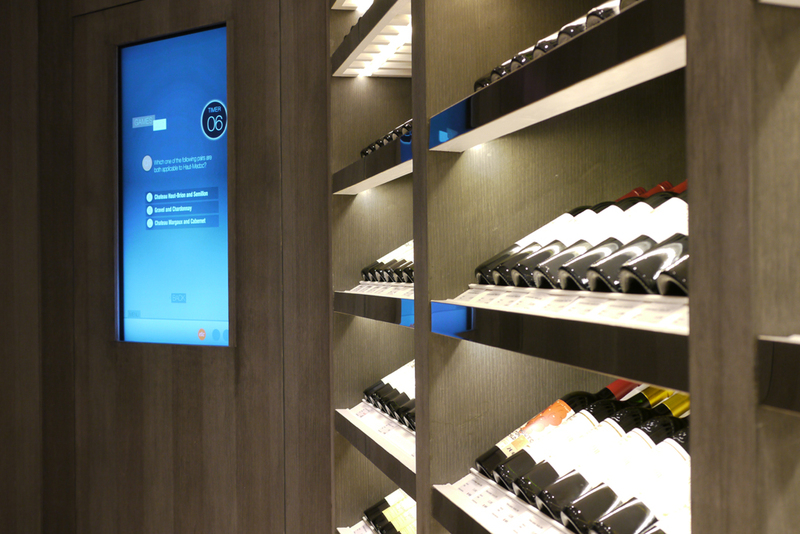 It enables inventory tracking and provides valuable / useful information on customer wine preferences.